Sorry to be gone for so long. I forget how I enjoy writing these and will try to get back on track with them. The title has double meaning, for my articles and for shooting. How many divisions do you shoot? Do you shoot other disciplines? Do you find that taking time off or not shooting a division impacts your speed? If you’re like me, you love to shoot. 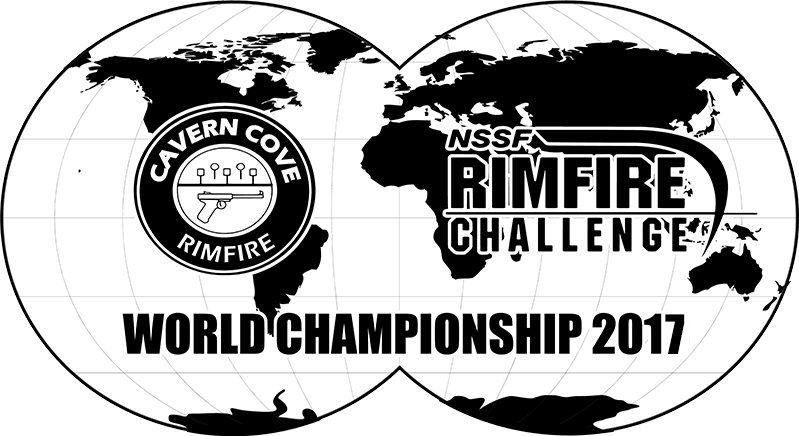 I’ve focused on Steel Challenge and USPSA and there are many other disciplines you can shoot as well. Some are very complimentary, like Rimfire Challenge/Steel Challenge. Some don’t hurt, and help a little, like Steel Challenge /USPSA. I’ve always believed that shooting skill is learned and a diminishable. How is it a learned skill? To my knowledge, nobody ever won their very first match. I’m not talking about their first match with a new gun, I’m talking match #1. I looked back at my first USPSA match (May 2016); I was second LAST scoring 22% of the winner. My first Steel Challenge (June 2016) I shot RFPI; 21.16 on Roundabout and 16.67 on Smoke and Hope. In both cases I didn’t know what I didn’t know, but I was hooked. Over the coming months I watched YouTube videos, listened to the better shooters (which was just about everyone) and practiced. As time went on I got better and started shooting different divisions. In USPSA my progression was Production, Single Stack Major, Single Stack Minor, Limited, Open and now PCC. My Steel Challenge progression was RFPI, RFPO, RFRO, PCCO, RFRI, PCCI, OPN, SS, CO, PROD, LTD, ISR, OSR. Every week there was something I did better than the week before. Maybe it was going one for one in steel, or more alphas than I’d ever shot before. I can still remember the first time I won a stage in USPSA and then the first time I won a local match. I remember breaking 10 on Smoke and Hope, then 9, 8, 7. All of this was because I was learning the skills through practice. I shot RFPO exclusively for 15 months, learning steel challenge in one division. I still remember the exact moment when I found out I’d made GM in RFPO, no one was home, but I’m sure everyone heard my emphatic scream of YESSSSSSSS! The practice had paid off. One of my favorite quotes is “You earn your trophies at practice. You just pick them up at competitions”. Through practice I’d built my skills and the performance showed at matches. If you only shoot matches, you may get better, but if you practice, and do it correctly, you will get better. It’s not the quantity, it’s the quality. If you keep doing the wrong things all you are doing is reinforcing bad habits. Read, watch videos, take a class (call me, have guns, will travel), become a student of the game. When I was at the 2017 US Steel match (B class RFPO), I’d only ever shot rimfire pistol and RFPI was just a warm-up for RFPO. I’d seen some great shooters in other divisions and said “I’ll never be that fast”. That was “stinkin’ thinkin’ ” and kept me from even trying the other divisions. After earning my GM in RFPO I decided to try the other divisions. Because I’d learned how to go fast in RFPO, I needed to add in the intricacies of the other divisions. Over time and with practice I became a 6 way GM. Here’s where the title of the article ties in. When I went back to shooting RFPO I stunk. It’s lucky I was alone at the range, I was either talking to myself like there was someone else there (I think I may have answered myself too), or I was cussing. I was slow on the “draw”, transitions were sloppy and even though Steel Target Paint is my sponsor, I didn’t need much of it. The rust had built up, but not on my gun, it was on me. My skills had diminished and it was frustrating. It took me about ½ the practice to calm down and get back to the fundamentals. I wasn’t going to be fast, but I knew 1 for 1 was going to be the fastest time I could shoot during this practice. I focused on a good grips, sight pictures, trigger presses and transitions. By the end of the practice I was getting closer to my personal bests. I’d begun to knock the rust off. It’s simple, practice! At every practice session I try to shoot at least 1 rifle, 1 rimfire pistol and 1 center fire pistol. While there are intricacies between RFRO and PCCO, they are both rifles and both have dots. OPN and CO share the draw and the dot. While these platform aren’t 100% the same, the similarities are enough to keep the rust from building. If you can’t get to a range for live fire, then dry fire. 10 minutes a day get’s you about 50 draws. Do the math, that’s over 18,000 draws (13,000 if you just do M-F) in a year. Find that 10 minutes, do the work, build your skill and I believe you will get better. Explore the latest Ruger MKIV 22/45 upgrades from TANDEMKROSS: the "Tomahawk" Hooked Magazine Bumper, designed for shooting sports. 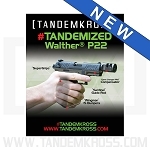 Learn more about the newest SW22® Victory™ accessory from TANDEMKROSS - the "Thunder" Hammer for SW22® Victory™. 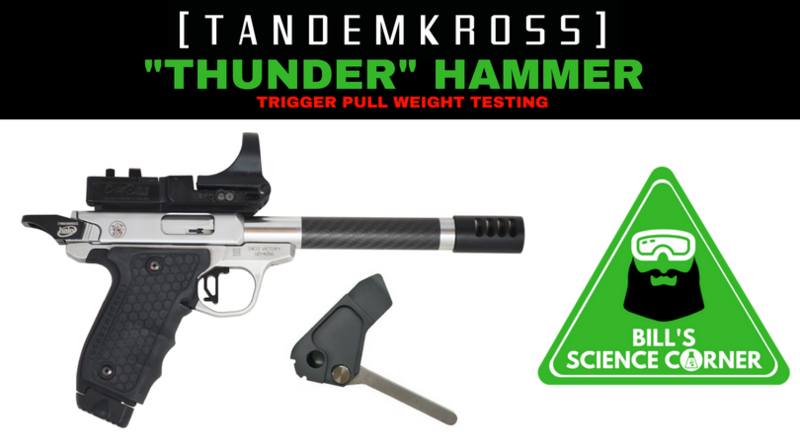 The "Thunder" Hammer significantly reduces trigger pull weight for faster shooting. 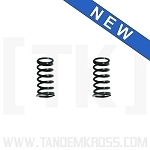 Wondering how much of a difference the new "Thunder" Hammer for SW22® Victory™makes toward your trigger pull? TANDEMKROSS video manager Bill Curtis performs trigger pull weight testing with the SW22 hammer and our "Victory" SW22 trigger. 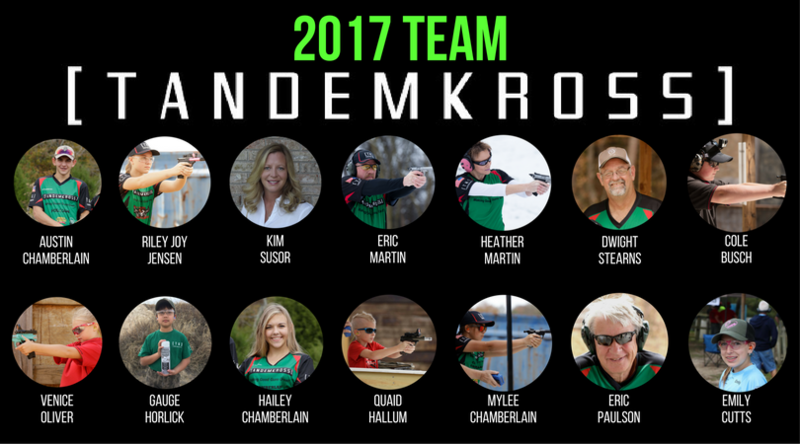 TANDEMKROSS has joined the Scholastic Action Shooting Program (SASP) as a 2018 Gold Sponsor. Want to learn more about Steel Challenge stages and get the best Steel Challenge training tips to help you master each stage? Competitive shooter Jeff Jones is sharing his take on each stage in this latest blog series. 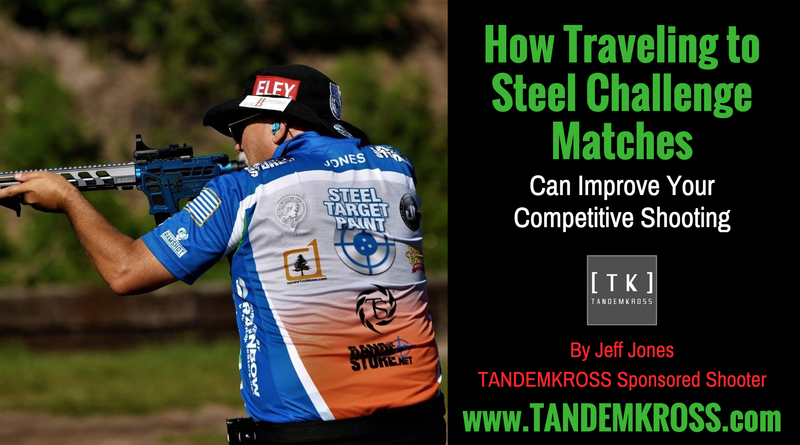 Can traveling to Steel Challenge matches improve your shooting? 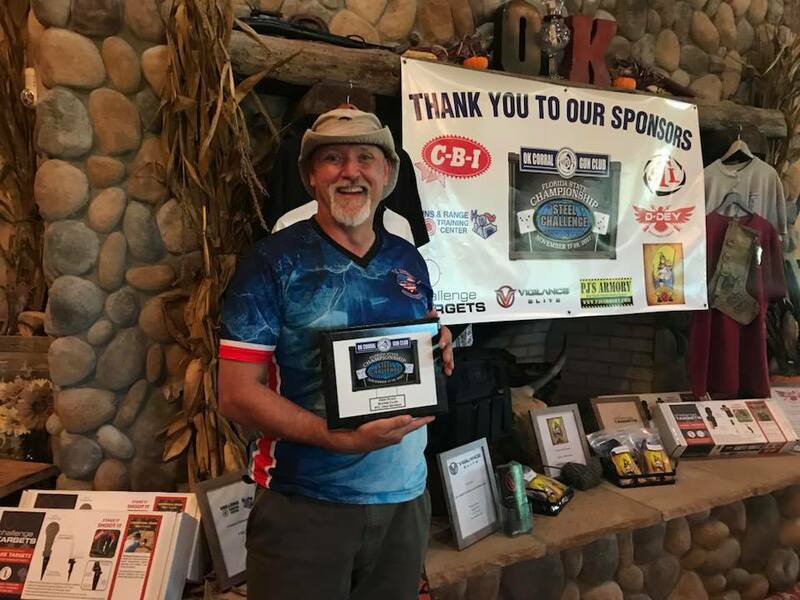 Learn more about the ins and outs of traveling for shooting sports competitions in the latest blog post from TANDEMKROSS sponsored competitor Jeff Jones. 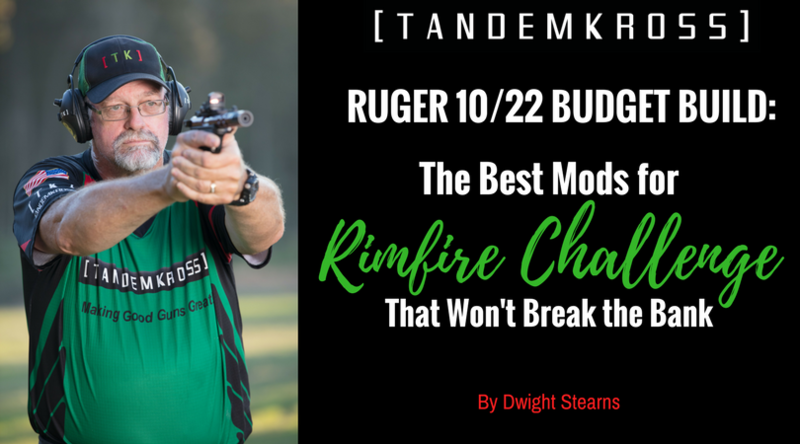 Learn more about being competitive in Rimfire Challenge matches on a budget in the latest blog post from Team TANDEMKROSS member and firearms instructor Dwight Stearns. 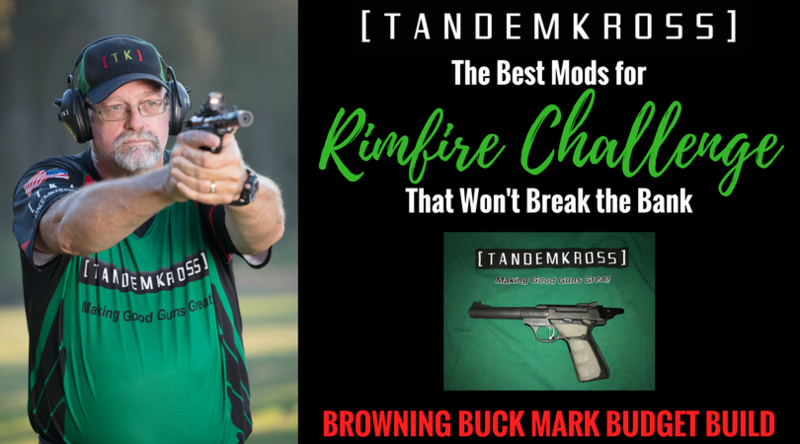 In this post, the second in a three-part series on Rimfire Challenge guns, Dwight walks you through a budget-friendly build for a Browning Buck Mark. 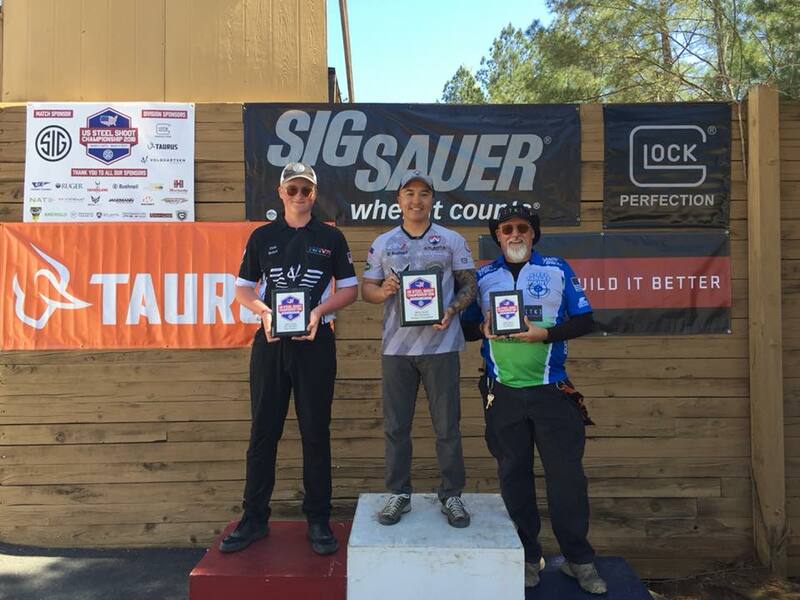 A week after competing at US Steel Challenge Nationals in Georgia, competitive shooter Jeff Jones shares the lessons he's learned shooting major Steel Challenge matches. 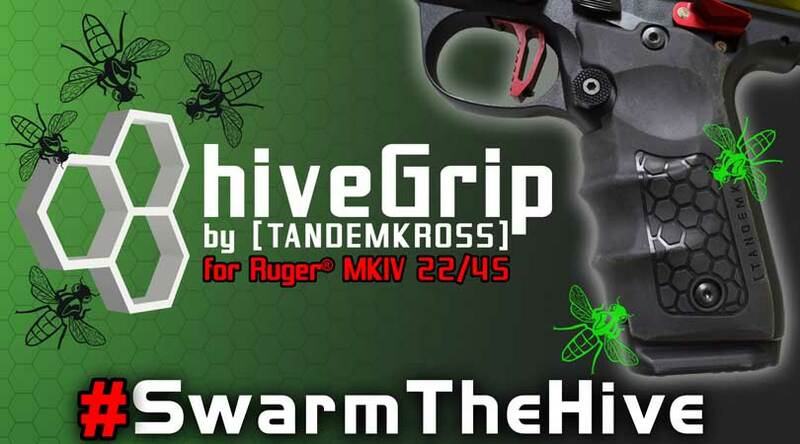 Learn more about the latest Ruger MKIV 22/45 mods from TANDEMKROSS: the "hiveGrip" MKIV 22/45 grips that offer ergonomic finger grooves, impact- and vibration-dampening material and aggressive texturing for a tacky, controlled grip. Interested in getting started in speed shooting sports and looking for some tips on Rimfire Challenge training, preparation and gun modifications that won't break the bank? 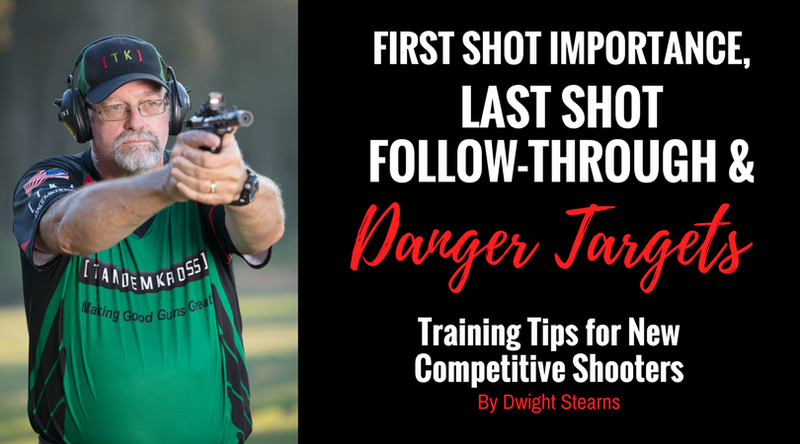 This new blog series from Team TANDEMKROSS competitive shooter Dwight Stearns will address how to be competitive on a budget. In Part 1 of this new series, Dwight explores a budget-friendly Ruger 10/22 build, complete with the best Ruger 10/22 mods for rimfire competitors. Wondering what it takes to improve your Steel Challenge scores? 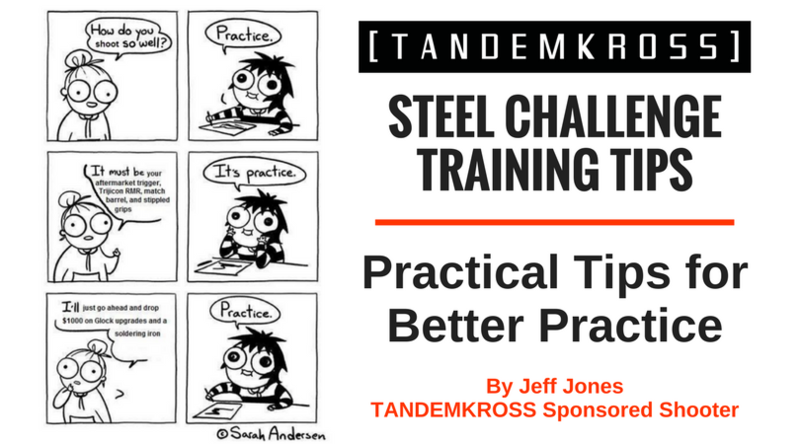 TANDEMKROSS sponsored shooter Jeff Jones shares his Steel Challenge training tips to help you get ready for Steel Challenge matches this competition season! No amount of shooting practice can help you in shooting sports competitions if your firearm is not running reliably. 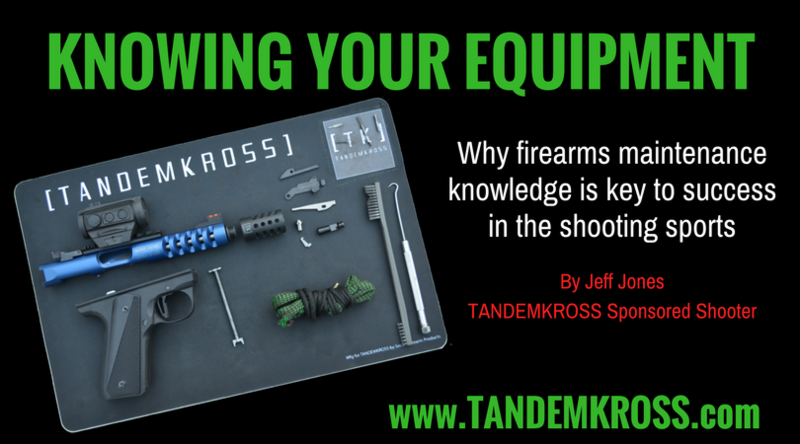 In his latest blog post, TANDEMKROSS sponsored shooter Jeff Jones explores the ins and outs of knowing your equipment, from disassembly and re-assembly to installing replacement parts. 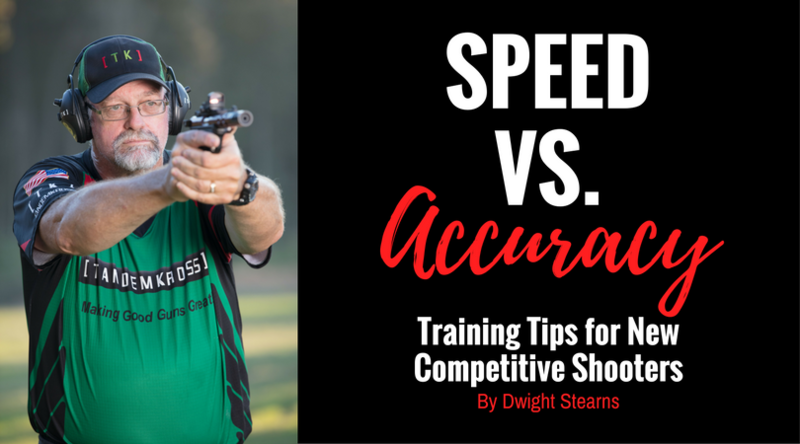 Learn more training tips for shooting sports competitors and be ready for the 2018 competition season. Team TANDEMKROSS shooter and firearms instructor Dwight Stearns breaks down some important shooting tips. 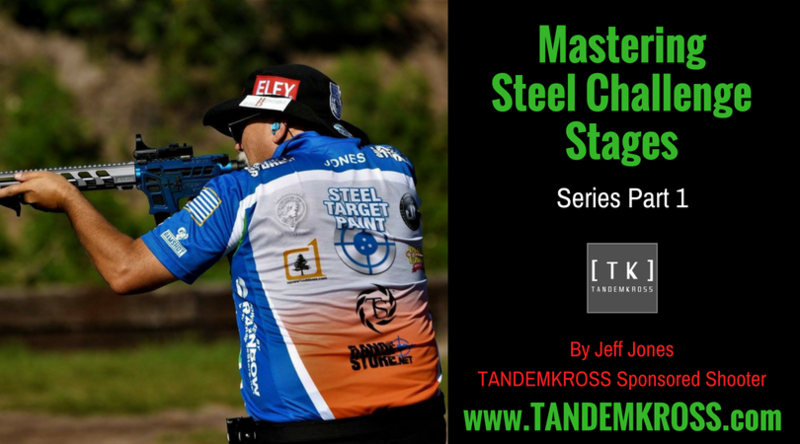 Introducing a new Steel Challenge blog series by TANDEMKROSS sponsored shooter Jeff Jones, a Steel Challenge and USPSA competitor. Check back on this bi-monthly series to learn more about the history of Steel Challenge, Steel Challenge training and techniques and other shooting sports tips. Want to learn to shoot faster? 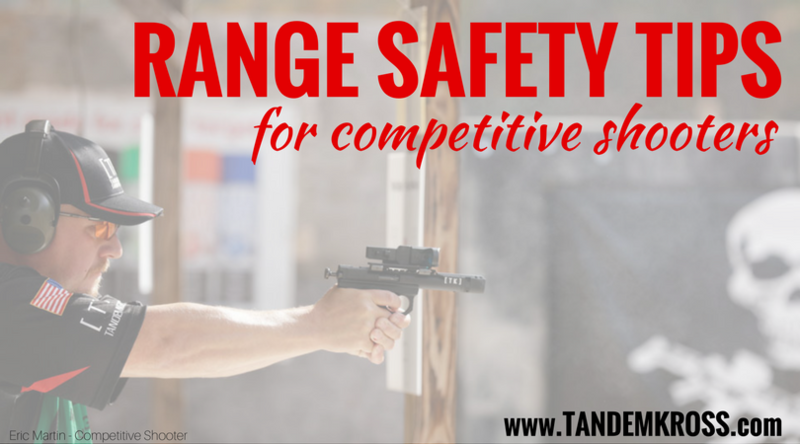 Team TANDEMKROSS competitive shooter Dwight Stearns has the training tips you need. And they're simpler than you might think. Can meditation boost your shooting sports performance? 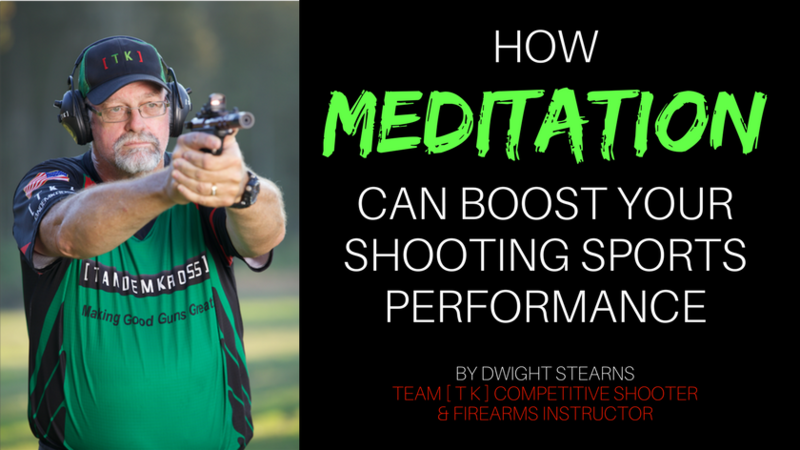 Read on to learn how to meditate to improve your mental endurance for competitive shooting events, from rimfire competitor and instructor Dwight Stearns. Calling all SW22® Victory™ owners! 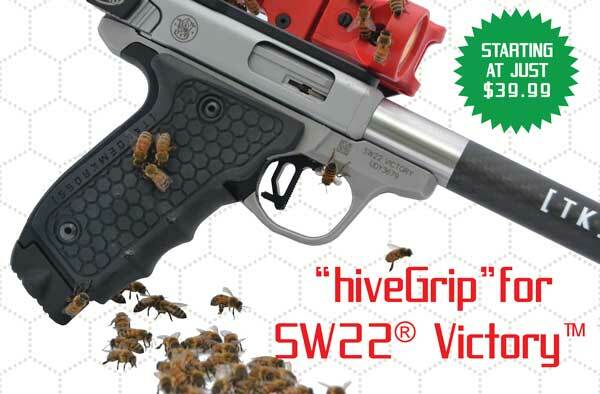 TANDEMKROSS has launched the latest in its line of innovative aftermarket accessories for the popular Smith & Wesson pistol: introducing the "hiveGrip" SW22® Victory™ grips! 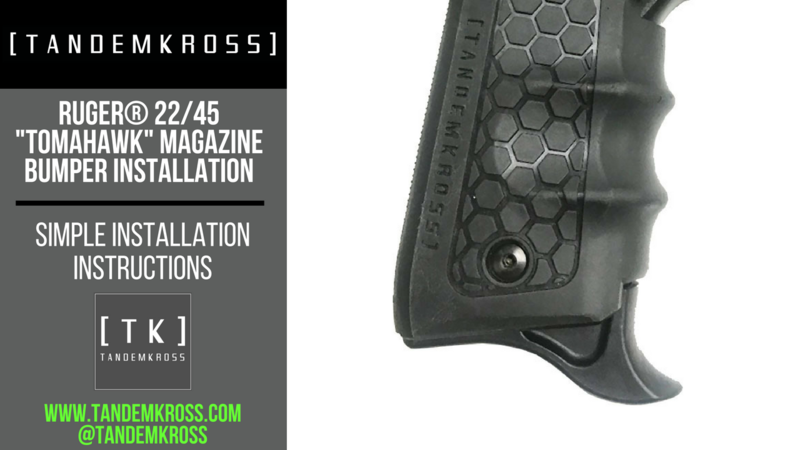 Looking for the best Ruger MKIV 22/45 upgrades on the market? Wondering what the experts choose to outfit their MKIV 22/45 pistols for competition or just better, more fun shooting? American Rifleman writer B. Gil Horman has your answers in his latest article for the NRA Publication. Looking for the best Ruger® 10/22 upgrades on the market? Pew Pew Tactical has your ultimate list (including the best #tandemized upgrades for 10/22!). 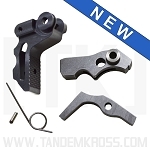 TANDEMKROSS is proud to announce the addition of their innovative firearms upgrades to MidwayUSA's online offerings of gun parts and accessories. 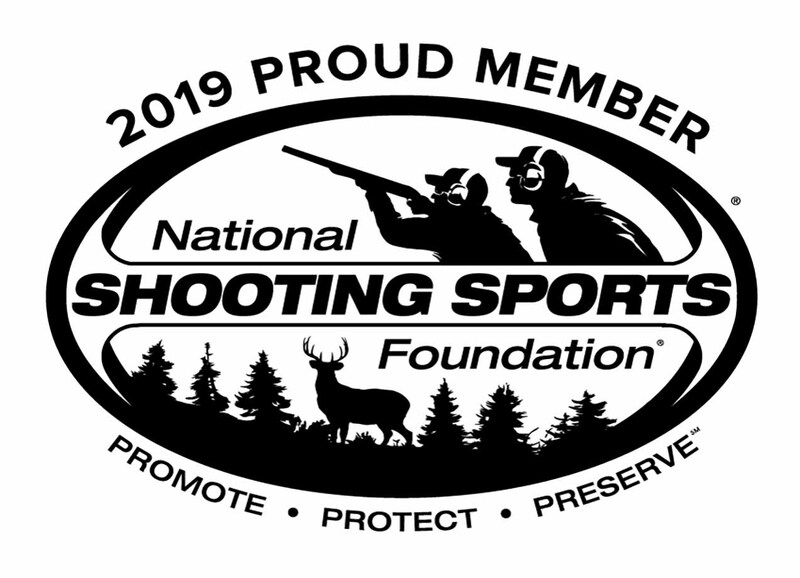 While shooting sports competitions are built upon a strong foundation of safety, anyone using firearms or attending a firearms event should be prepared to deal with a potentially life-threatening injury. Read our latest blog post to get the best range safety tips for competitive shooters, and learn what to pack in your first aid kit. Explore our best deals on accessories for Ruger®, Smith & Wesson®, Kel-Tec® and more! Deals are valid April 2017 only.